Since the end of World War II, Jewish architects have risen to unprecedented international prominence. Whether as modernists, postmodernists, or deconstructivists, architects such as Peter Eisenman, Frank Gehry, Louis I.
Kahn, Daniel Libeskind, Richard Meier, Moshe Safdie, Robert A.M.
Stern, and Stanley Tigerman have made pivotal contributions to postwar architecture. 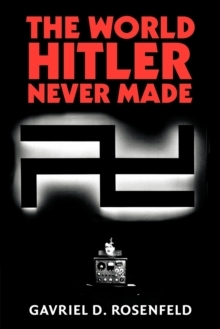 They have also decisively shaped Jewish architectural history, as many of their designs are influenced by Jewish themes, ideas, and imagery. 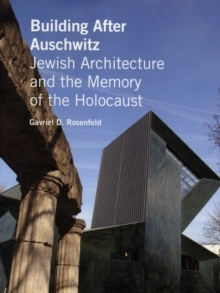 Building After Auschwitz is the first major study to examine the origins of this "new Jewish architecture." Historian Gavriel D.
Rosenfeld describes this cultural development as the result of important shifts in Jewish memory and identity since the Holocaust, and cites the rise of postmodernism, multiculturalism, and Holocaust consciousness as a catalyst. 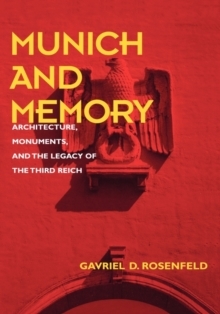 In showing how Jewish architects responded to the Nazi genocide in their work, Rosenfeld's study sheds new light on the evolution of Holocaust memory. Pages: 448 pages, 25 color + 150 b-w illus.